Just outside the visitor center of Jennings Randolph Lake, in Mineral County, in the US state of West Virginia, is a large piece of rock on display. On one side of the rock there appears a regular waffle-like geometric pattern of raised, darker stone that runs in almost perfectly straight lines across the rock’s surface. The lines cross themselves at various angles forming deep pockets of lighter colored material. 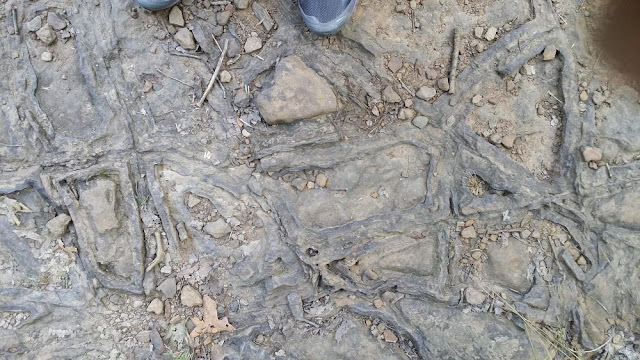 The strange patterning on the so-called Waffle Rock is a result of natural erosion, although over the years many alternative theories regarding its origins have evolved, and these involve pretty much the usual —aliens, giant reptiles and ancient Indian societies. The US Corps of Engineers offers some insight into the rock’s formation. As explained in this article, the sandstone layers that make up the rock were originally deposited about 300 to 250 million years ago. 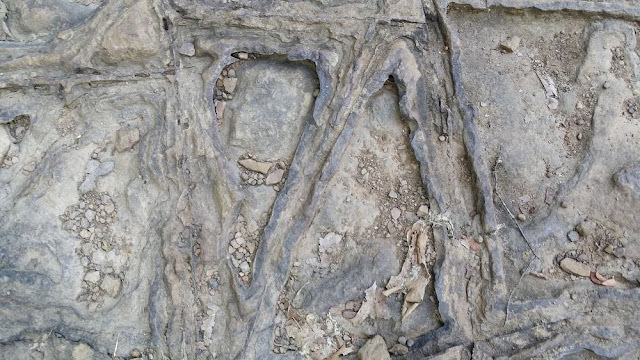 Then as the continent began to breakup by tectonic plate shifts, about 200 million years ago, the sandstone block was folded onto itself repeatedly creating cracks in the sandstone. In about another 100 million years, the cracks began to fill with iron oxide, leached from the surrounding rock by the percolating water. This iron oxide mixed with the sand grains in the cracks and formed a super hard material resistant to weathering compared to the surrounding sandstone pieces. As the sandstone rock eroded away, it left behind the hard iron-oxide waffle like pattern on the rock. The boulder lodged into the ground at Jennings Randolph Lake is a small piece of this rock that is believed to have broken off from the parent outcrop somewhere higher up the slope. A smaller piece of the same rock is also on display in the Smithsonian Institute of Natural History located in Washington, DC. 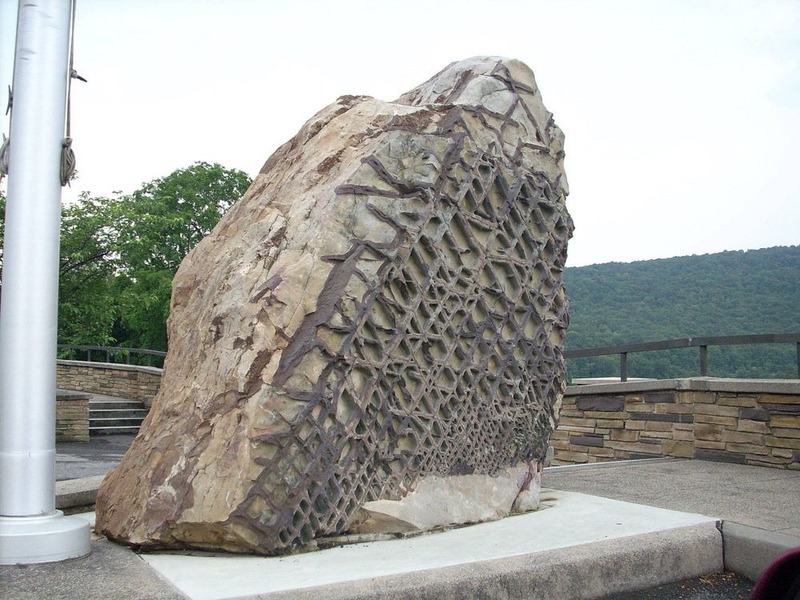 The Waffle Rock formation is not common, although similar patterned boulder have been found in Monongahela, Pennsylvania, and at Tea Creek Mountain in Pocahontas County, West Virginia. Many other undocumented examples of this stone patterning is in several other places around the world.